Love coffee? 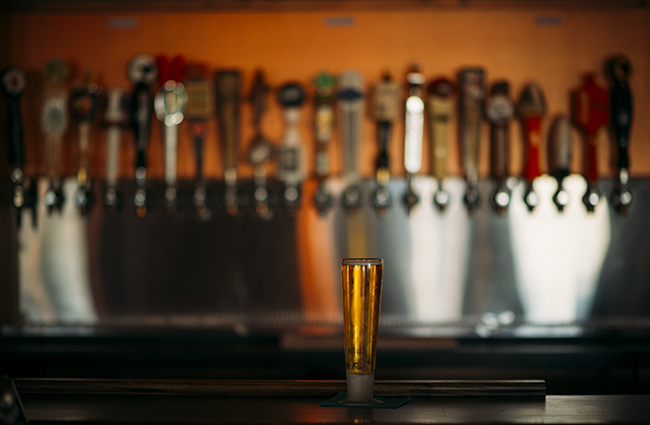 You’re not alone – over half of Americans drink it every day! Coffee shop on the second floor of the Pamlico Station shops, overlooking the Pamlico Sound in Rodanthe. Try: the Nutty Monkey: a blended espresso frappe with nutella and banana or the Dawn Patrol: 7 day steeped cold brew with a double shot of espresso and ice cubes made of coffee. In the Waves Village shops in southern Rodanthe. Open Year-round • 7 days a week. Try: the Night in Rodanthe – Dark mint mocha, it’s like coffee and dessert! On the Pamlico Sound behind REAL Watersports in Waves. Watermen’s has an entire coffee and espresso menu. The management team has many years of combined experience at Starbucks, they can make any coffee drink you can think of! Try: An Atlantic Coast Cafe signature freeze. Right next to the Surf or Sound Avon Office! Coffee and bead shop in the Dairy Queen shopping center in Avon. Try: An apple ugly to go with your coffee! 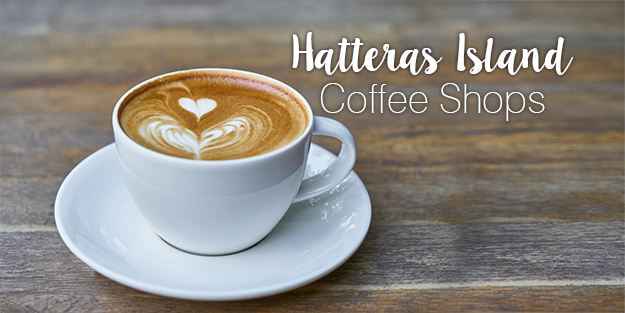 Full-service coffee bar serving coffee, espresso, lattes, cappuccinos, fresh-fruit smoothies and more. Gift shop offering simple North Carolina roast drip coffee that is available by the pound. 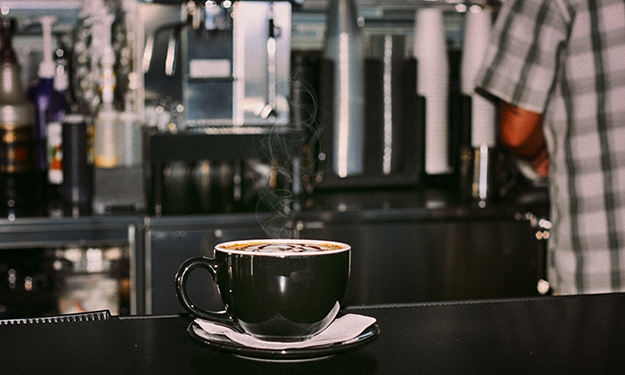 Browse beautiful hand-made ceramics and enjoy the full-service coffee bar. Full service traditional coffee shop across from the fishing harbor in Hatteras Village. A good beach bar can set the stage for an unforgettable night on the town in this Southern Outer Banks vacation destination. And despite having a reputation as a refreshingly low-key collection of beach towns, the Hatteras Island nightlife scene is surprisingly varied, unexpected, and always fun. 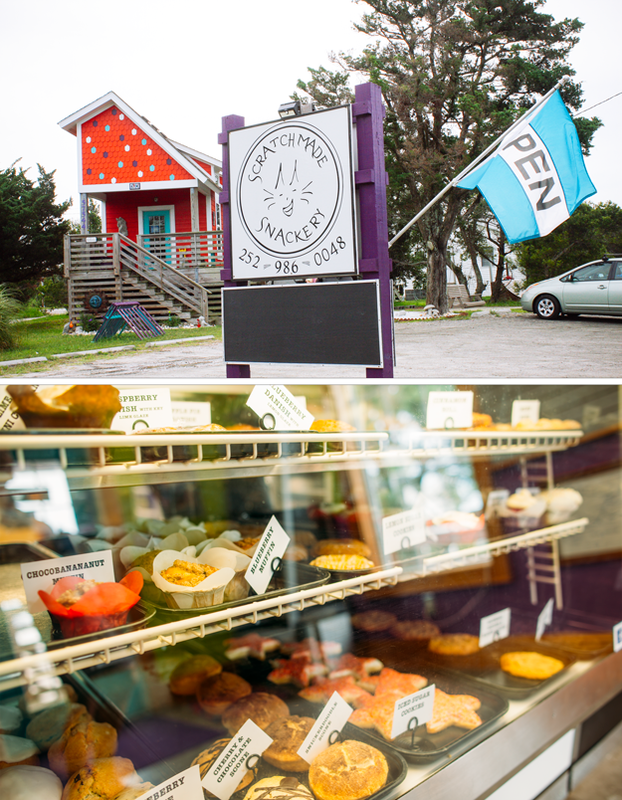 In the prime summer months when the island is hopping, visitors can expect to find plenty of options to cater to any after-hours cravings. 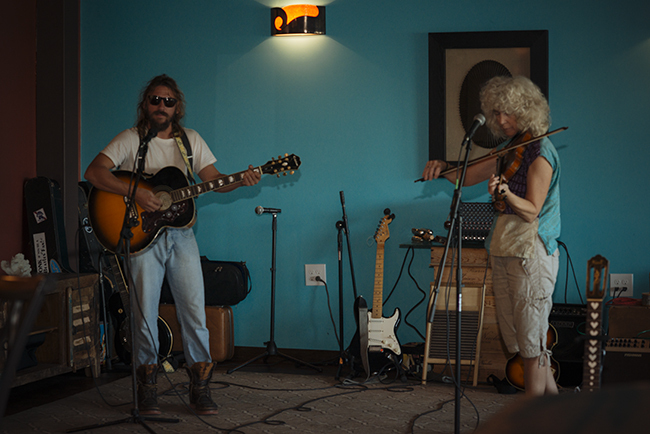 From big name and nationally recognized bands playing at oceanfront venues, to local musicians that have been charming island bar patrons for decades, the combination of great drinks and great music is more or less inherent in this Outer Banks region. The big bands can be found at the Papawack Theatre at the Koru Villages’ Beach Klub in Avon. This oceanfront venue has been host to a wide array of music, from the Wailers to the renowned beach music stylings of The Embers, and the site continues to draw in big names through local arts and music festivals as well as their regular Thursday night summer performances. In short, if you’re in the mood for a big-name concert that coincides with lots of dancing, ice-cold drinks, and a prime oceanfront view, this is the place to go. With some of the freshest food on the island, you’ll find the casual Watermen’s Bar and Grill right behind REAL Watersports on the sound in Waves. This venue offers spectacular sunsets and great live music. Their Sky Blue Concert series brings local and regional acts Mondays, Thursdays, and Fridays and during REAL Watersports’ festivals and events you’ll find big name national acts like Mix Master Mike of the Beastie Boys and Method Man (of the Wu-Tang Clan) and Redman. If you love music but prefer a smaller scene, then you’ll be delighted to discover that Hatteras Island covers this small-scale beach vibe, and covers it well. On any given summer night, multiple restaurants and local bars host talented musicians that specialize in a wide range of styles, while attracting customers through drink specials, limited or no cover fees, and an all-around fun atmosphere. 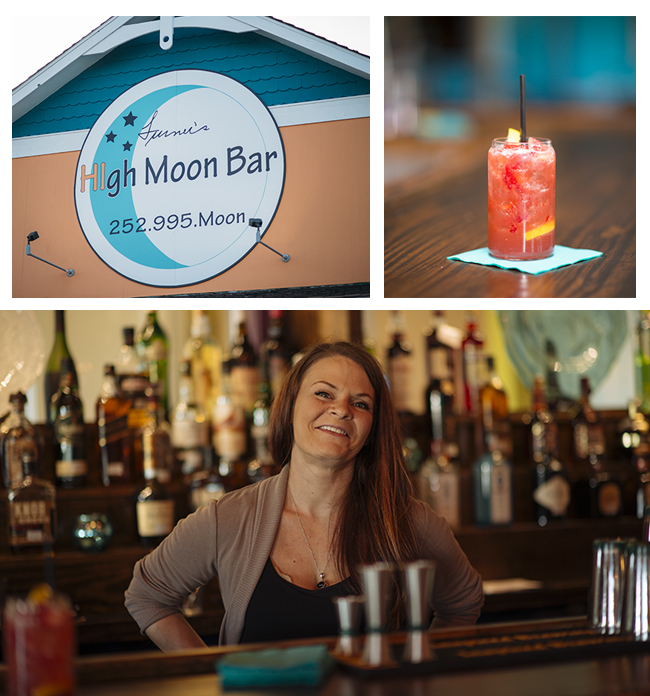 If you’re brand new to the Hatteras Island bar scene, try Turner’s High Moon in Avon Village. This relatively new establishment has a number of great microbrews on tap and is known for their craft cocktails and regular live music in the summer months. 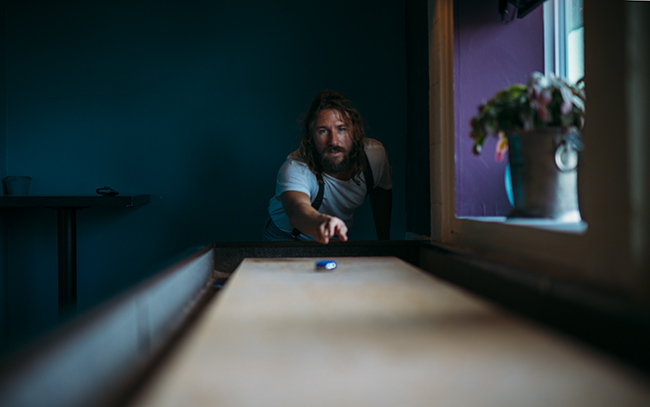 There’s even a shuffleboard table, and ample room for locals and visitors to dance meet and mingle. If you like a more subdued scene, then head to your favorite local restaurant – like the Froggy Dog, Dinky’s, or Hatteras Sol Waterside Grill – find a prime seat, and settle in for a good time. 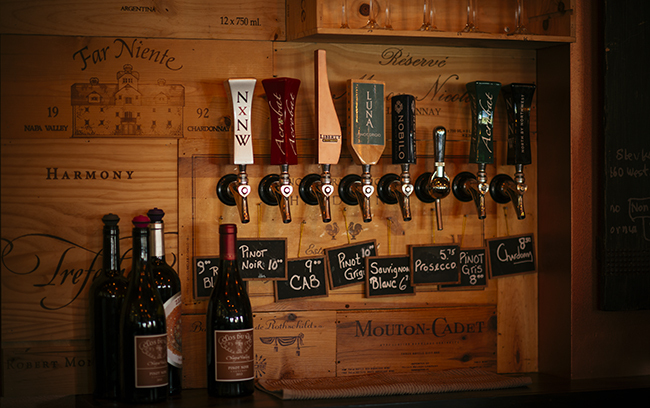 The bars on Hatteras Island have embraced the latest craft beer craze – as well as somewhat recent ability to serve mixed drinks, courtesy of popular local vote – and as a result, have a fine assortment of adult beverages to whet your whistle. 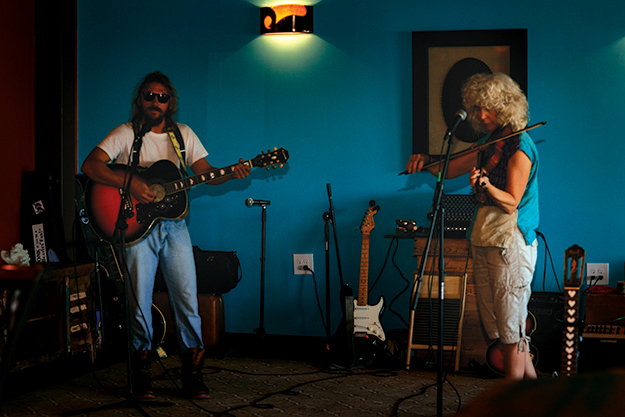 The Hatteras Island bar scene can be as intimate or as outgoing as you want it to be. 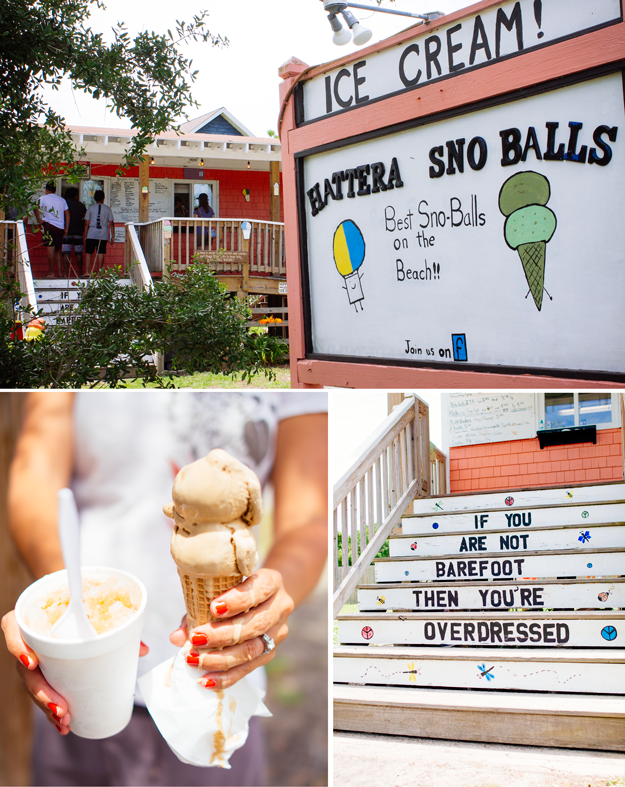 With a clever mix of local watering holes, upscale establishments, and please-the-masses venues, you can essentially plan your ideal night out while on a Hatteras Island vacation. Of course, there’s always your premier vacation home. 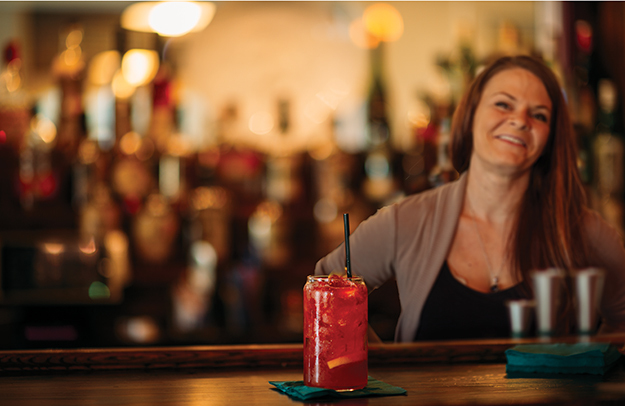 It’s hard to beat sunset cocktails with panoramic views of the Pamlico Sound, or happy hour at your private tiki bar. The afternoon sun begins to lower in the sky, the kids start to wander in from the beach, and the family shoppers have just returned from the market with pounds of fresh local produce and seafood. It’s time to begin the annual ritual of cooking a bountiful vacation meal. 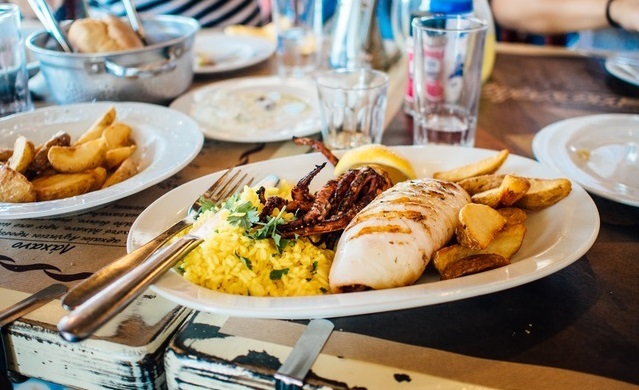 Whether you have a family full of chefs or you prefer to keep things as simple and lazy as possible, vacation meals create rich, fond memories, that can be summoned up on even the coldest Midwest winters day. 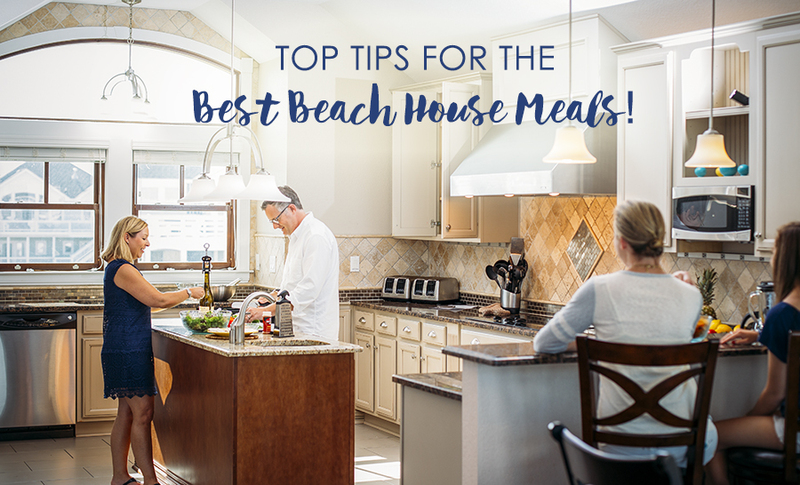 We’ve gathered our favorite advice from experienced guests and chefs to help you plan the best culinary experience for your family. While you don’t have to have every detail of your menu planned out, it does help to prepare a bit ahead of time. Start a Pinterest board with your favorite recipes and meal ideas and invite family members to contribute. Check out our Delicious Beach Eats and Great Beach Drinks boards on Pinterest for inspiration. Bring your recipes with you. Don’t worry if you can’t find what you want to cook online. Take a photo of your grandma’s best seafood recipe card or your favorite magazine clippings with your phone so you can access them away from home without the risk of losing family heirlooms. You can even upload the image to pinterest. Assign meal nights ahead of time. Make a list of everything you’ll need and ask family members to sign up to bring items like spices, cooking oils and special sauces so you want have to buy everything once you get to the house. Some families like to assign nights ahead of time so that each group has a specific meal to prepare for. Even kids can get involved, helping to prepare ingredients, set the table, and decorating. Fresh brewed coffee, bacon, eggs, sausage and pancakes? There’s nothing better than coming home from a long sunrise stroll on the beach to the smells of breakfast cooking. Some families have traditions where the first to rise in the morning gets breakfast started for the group. Others keep it casual with everyone preparing their own breakfast as they get up. However you like to do it, vacation is a good time to try new things and treat yourself. Try this recipe for Everyday Granola from Epicurius, it can be made ahead of time and makes a great addition to yogurt. Preheat oven to 300 °F. Line rimmed baking sheet with parchment. Mix first 7 ingredients in large bowl. Stir honey and oil in saucepan over medium-low heat until smooth. Pour honey mixture over oat mixture; toss. Spread on prepared sheet. Bake until golden, stirring every 10 minutes, about 40 minutes. Stir granola and cool. Mix in fruit. Can be made 1 week ahead. Store airtight. 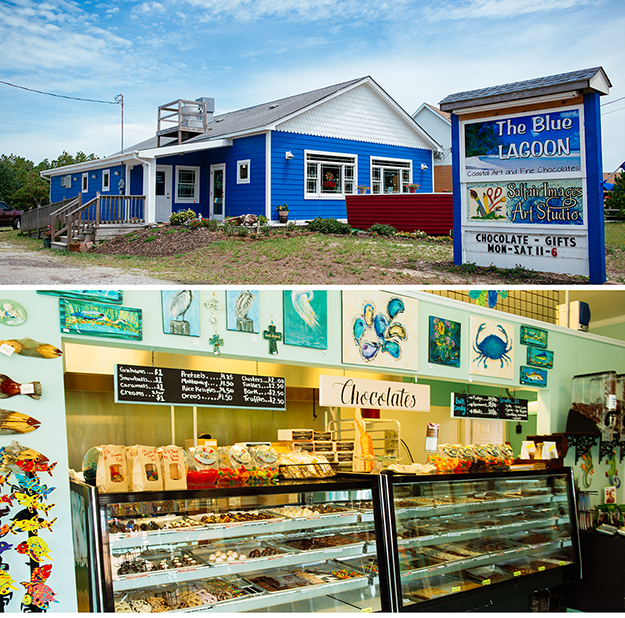 Mid-day is the perfect time to try one of Hatteras Island’s local restaurants or sandwich shops or picnic at the beach. If you had an early start it might also be a great excuse to take a break from the beach to make a sandwich and a cool drink. Try this recipe for Best Gazpacho from the New York Times. You can make a large batch ahead of time so that when lunch time hits, you have something that will cool you down, quench your thirst, and satisfy your hunger all at once. Combine tomatoes, pepper, cucumber, onion and garlic in a blender (If necessary, work in batches.) Blend at high speed until very smooth, at least 2 minutes, pausing occasionally to scrape down the sides. Add the vinegar and 2 teaspoons salt. Slowly drizzle in the olive oil. The mixture will turn bright orange or dark pink and become smooth and emulsified, like a salad dressing. If it still seems watery, drizzle in more olive oil until texture is creamy. Strain the mixture and discard the solids. Transfer to a large pitcher or bowl and chill until very cold, at least 6 hours or overnight. Before serving, adjust the seasonings with salt and vinegar. If soup is very thick, stir in a few tablespoons ice water. 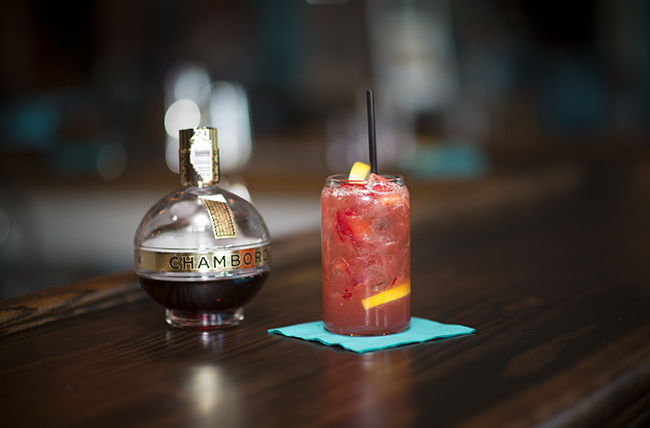 Serve in bowls or glasses, over ice. A few drops of olive oil on top are a nice touch. Laughing with family you see just a few times a year over a glass of wine while you prepare the evening meal is an experience unto itself. Dinner in a Hatteras Island vacation rental home has so many options. Many guests choose to divide cooking duties among the larger group with each person or small family in charge of a different week night. Some families have theme nights, a Polynesian Luau by the pool or a Mediterranean tapas night. Some folks even bring a folding table and a grill down to the beach and dine oceanside. It’s hard to beat the sound of the crashing waves as a dinner soundtrack and younger kids can continue to expend energy running on the beach. 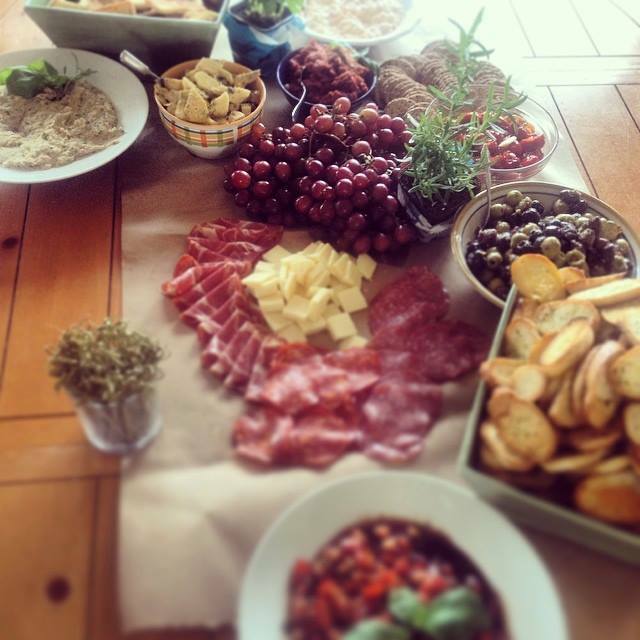 Tami Vogel is lucky to have chefs in the family – Pictured is their version of tapas night. Try this lowcountry boil for a fun, no-fuss meal that will have everyone satisfied. 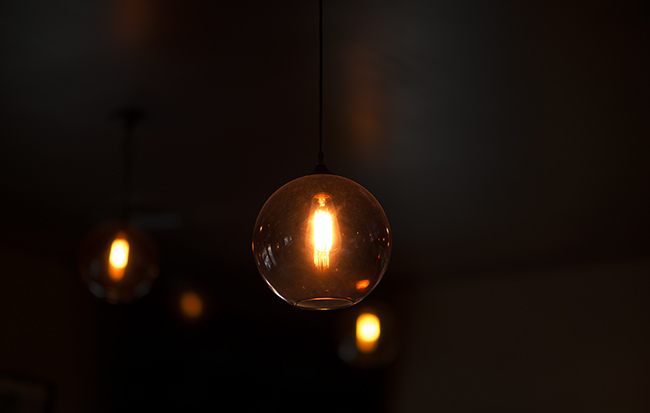 Here are even more top tips from our experienced guests! The first day we make a shopping list and go get groceries for the week. – Brittany M.
Anytime someone goes to the store we always ask if we need anything and they pick it up. We used to keep track of what we would buy and divide the expenses at the end of vacation…but it’s so much nicer to just pick up whatever is needed and don’t worry about it. 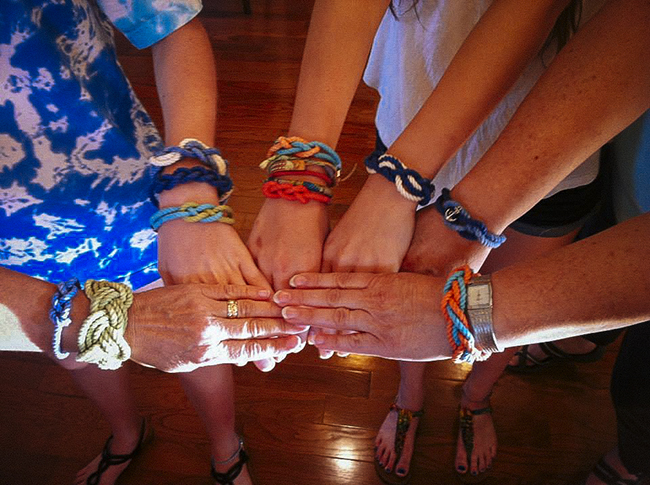 We are all family. – Carlene O. The ladies in our family get together several months before vacation and plan the menu for the week. Then, each family chooses a night to cook. We also divide up set-up and clean-up. If you cook, you don’t do clean-up or set-up. We put money in a “grocery pot” for the week, and take money out of it to purchase groceries. It works well for us. – Sharon W.
Each family signs up for a dinner (we’re parents plus three married children with their own kids for 4 dinners). Then we have an eat-out night, an “everyone pitches in” night, plus a left-over night on the last night. The first night is often brought from home–lasagna (frozen homemade) or tacos or something with little prep time needed. Probably our favorite beach (dinner) meal is a mixed seafood dish in seafood stock (often clams, crab legs and crabmeat, fish, shrimp and mussels) with linguini or fettucini. Everyone brings items to share for lunches, breakfasts, snacks and desserts. If a family wants to do a big breakfast like sausage gravy and biscuits, they usually do it for everyone. And of course there has to be an “Apple Ugly” morning! And in our family it is ‘traditional’ that we finish the ice cream on the last morning. As to chores, those not cooking usually clean the kitchen after a meal (voluntary basis) – Carol M.
Thanksgiving turkey dinner! The family is scattered now, so we take advantage of the ones we get to see for vacation. Plus the frozen turkey works as a great ice pack on the trip down!! – Sherri M.
One year I did a surprise Hawaiian Luau and brought outfits for everyone, had great food and we even had a scavenger hunt. It was fun! – Carlene O. (On nights the family isn’t cooking)… we have pizza nite, everyone chips in night, on your own night, usually each family goes out, and then leftover nite or clean the fridge out nite usually the last day – Ranae F.
Fish tacos or take a folding table down on the beach about 4pm, make lots of fun appetizers, dinner for the kiddies and hang out all together until bedtime for kids. The best. – Ellen H.